Just three years ago there were more than 500,000 veterans nationwide who were foreign-born — either noncitizens or naturalized U.S. citizens. That statistic is according to a report on deported veterans researched and compiled by the Texas Civil Rights Project. The report, expected to be announced at a TCRP event Thursday night at the National Butterfly Center in Mission, is titled “Land of The Free, No Home to the Brave: A Report on the Social, Economic, and Moral Cost of Deporting Veterans.” It was compiled through legal research and interviews with eight different deported veterans from Texas, who shared their stories with members of the organization for the report. Founded in the early 1990s, TCRP is a nonprofit organization which provides legal advocacy work by promoting the civil rights of all Texans by supporting voting rights, criminal justice reform, racial and economic justice and other issues. 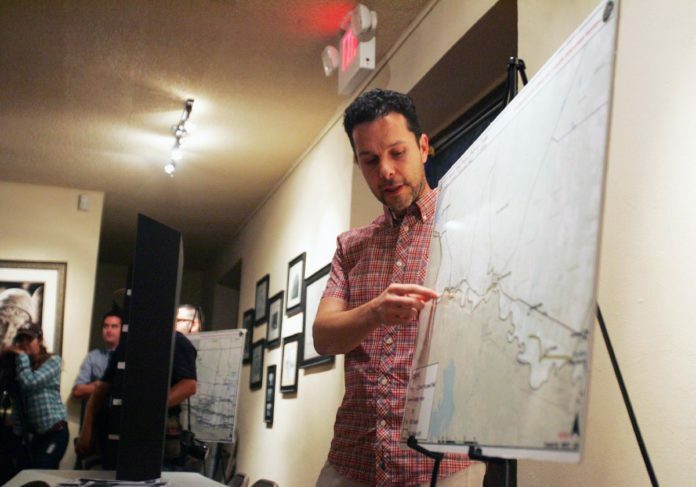 Among some of its more notable work in the Rio Grande Valley, TCRP represented several families from Brownsville to Hidalgo County in a 2015 lawsuit against the state. The suit was related to the release of birth certificates to the undocumented mothers of U.S. citizen children. The following summer, TCRP along with the Texas RioGrande Legal Aid, claimed a victory against Texas and the Department of State Health Services. In 2017, TCRP members worked to educate landowners who may be at risk of having the federal government condemning their land in its efforts to secure real estate, which would be used to build a physical border wall along the U.S.-Mexico border. TCRP members, along with other local advocacy groups, held an open forum in Roma to discuss the federal government’s plans to build walls near the river — placing many landowners in a hazardous flood zone. The public forum, as well as other similar educational events like it, is the type of free legal services the organization has worked to provide for more than 25 years. The event will be hosted by Carlos Moctezuma Garcia, a McAllen-based attorney and a TCRP board member, as well as Elizabeth Garcia and the honorable Fernando Mancias, to name a few. After the reception, TRCP members Efren C. Olivares, the racial and economic justice director, and Executive Director Mimi Marzian will give a presentation on legal strategies to protect civil rights in South Texas. David Hall, a recently retired executive director of the Texas RioGrande Legal Aid, will be honored for his lifetime commitment to justice for South Texas communities, the release states. The event is set to begin at 5:30 p.m. For more information, visit texascivilrightsproject.org/2018SouthTexasReception/.